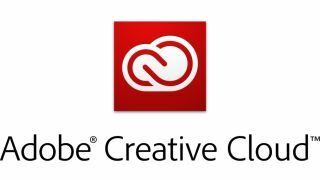 Adobe has made single applications available from its Creative Cloud under a new plan with a less expensive monthly membership - although it is restricted to customers of the existing Team package. From August 15 software such as Photoshop, Illustrator, InDesign and Dreamweaver can now be accessed on a software-as-a-service (SaaS) basis at a suggested retail price of £14.29 per user per month, although it is available only through resellers that may have their own pricing plans. Also, it's only available through a Team subscription rather than for individuals. With the price for the whole package, which includes 14 applications, at £22.23 per user per month, the deal will only be attractive for companies with the Team deal that want to provide one app for an extra member of staff. The single app package also includes 20GB of storage and the ability to showcase work on Adobe's Behance platform. Customers will also receive updates to the apps. Adobe has shifting the emphasis to selling its software as a range of cloud services. In May it announced that it was dropping further development of its on-premise Creative Suite in favour of Creative Cloud – a move that created plenty of controversy – and in June it added new features to the latter.